Certain prescription drugs, like opioids, stimulants, sedatives and tranquilizers are associated with serious harms such as addiction, overdose and death. These drugs can have a devastating impact on people’s lives and their families, as well as place a significant burden on our healthcare, social services and public safety systems. Recent research from the United States estimates the annual cost of the non-medical use of prescription opioids to be more than $50 billion, with lost productivity and crime accounting for 94% of this amount. In countries such as Canada, where these prescription drugs are readily available, their associated harms have become a leading public health and safety concern. Canada is the world’s second largest per capita consumer of prescription opioids after the United States.3 The International Narcotics Control Board reports that Canadians’ use of prescription opioids increased by 203% between 2000 and 2010, an increase steeper than in the U.S. Some First Nations in Canada have declared a community crisis owing to the prevalence of the harms associated with prescription drugs. According to the 2011 Canadian Alcohol and Drug Use Monitoring Survey, 23% of Canadians aged 15 and older reported using a prescription drug at least once during the past 12 months.6 The 2010–11 Youth Smoking Survey revealed that 8.2% of Canadian youth in grades 6–12 reported using prescription and over-the-counter drugs in the past year to get high.7 Deaths related to prescription opioids doubled in Ontario, from 13.7 deaths per million in 1991 to 27.2 per million in 2004, more than twice the mortality rate from HIV (12 per million). Increasing awareness about the safe storage and disposal of unused medication. As many prescription drugs with a high potential for misuse come from the medicine cabinets of friends and families, the proper medical storage of these drugs can effectively reduce diversion (National Advisory Committee on Prescription Drug Misuse, 2013). 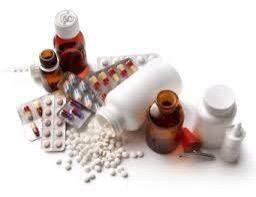 A large portion of medications remain unused. Unused drugs and inappropriately stored drugs can be used by people other than those for whom they were intended. For instance, in Ontario, youth reported obtaining opioids from their home (72%) or their friends (6%; Brands et al., 2010). This means of obtaining medication can result in accidental poisonings or non-medical use. PDoIs can serve as a collection and disposal site for unused drugs, as well as provide a means of educating the public on their risks. PDols reduce environmental impacts by intercepting unused drugs before they reach landfills and waterways. These initiatives constitute the only environmentally-sound way to dispose of unused drugs (Stoddard & Hugett, 2012; Gray & Hagemeir, 2012). Many PDoIs seek to improve healthcare practices by providing data on the types of drugs collected to reduce over prescribing and dispensing of drugs that result in the most pharmaceutical waste (Gray-Winnett et al., 2010; Stoddard & Huggett, 2012) and have been associated with prescription drug misuse (PDM). For more information about upcoming Prescription Drug Drop-off Day events in your area, contact your local police service. To learn more about how to dispose of or return unused prescription drugs, please contact your local pharmacy.